Remove the body side trim panel. Refer to Body Side Trim Panel Replacement. 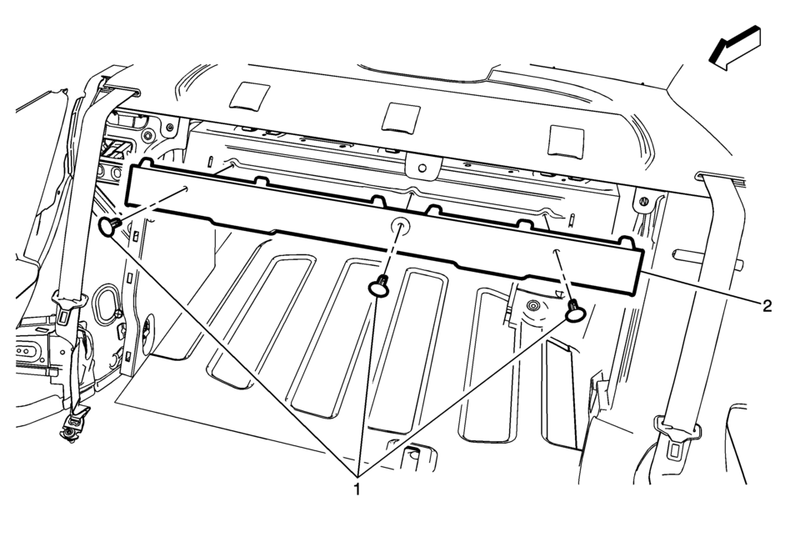 Pull the rear seat back cushion latch release located on the top of the rear seat back cushion, and fold the rear seat back cushion forward.